We own late models of wheelchair accessible vans & buses carefully maintained to give you the most reliable transportation services. Whatever your needs are, may it be medical and ambulette transportation services, airport pick-up and drop-off or a ride to a memorable event, we guarantee that our vehicles are all equipped with necessary amenities and features, ready to give you a safe and on-time ride. 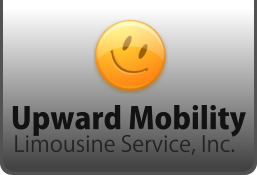 Upward Mobility Limousine Service, Inc. strictly follows the national safety standard and regularly conducts monitoring and comprehensive vehicle maintenance to ensure our clients’ safety. Our goal is to fulfill all your transportation needs while receiving the most reliable service you deserve. To learn more about our vehicles and services, kindly call us now at 718-777-3330 or give us an online message using our inquiry form.